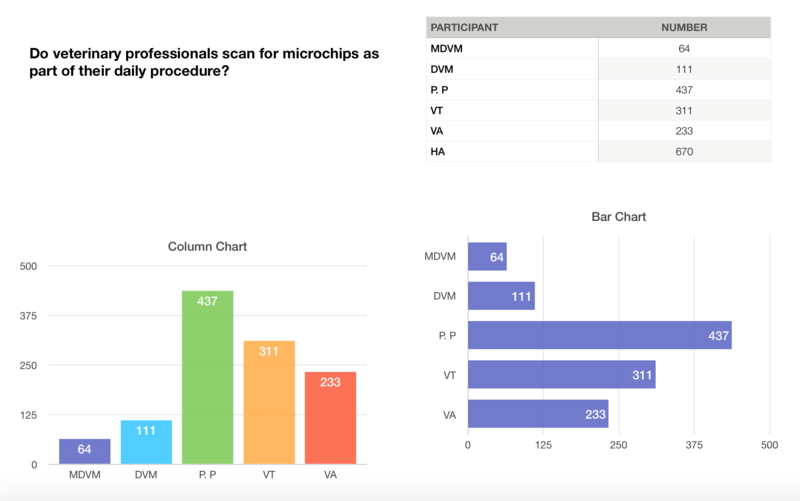 The purpose of the survey was to get a gauge of the approximate percentage of veterinary professionals nationally that scan for microchips as part of their daily procedure. In late 2015, with the aid of the Survey Monkey service we blasted out a survey to a pre-vetted list (no pun intended) of nearly 2000 veterinary professionals from coast to coast. Survey participants ranged from, Managing DVM's, owners of private practices, DVM’s in general, licensed veterinary technicians, and veterinary assistants. This was a dynamic survey, meaning questions would lend themselves according to the way in which previous questions were answered. This was a brief survey at the start and to say the least, it would up being even more brief than anticipated; however, it served its purpose and we learned what we set out to find. The first question asked, “Is every pet that is seen in your (office, private practice, clinic, hospital) scanned for a microchip as part of the standard daily procedure of your (office, private practice, clinic, hospital)? Out of the 1,826 surveyed all but 11 of the respondents answered yes, so essentially 100% of the survey respondents answered with an overwhelmingly no. The 11 respondents that answered yes were then completed with the survey and were not asked any further questions. The 1,815 remaining others were then asked a following up question (Why not?) with multiple choice answers where more than one answer could be selected as a choice. 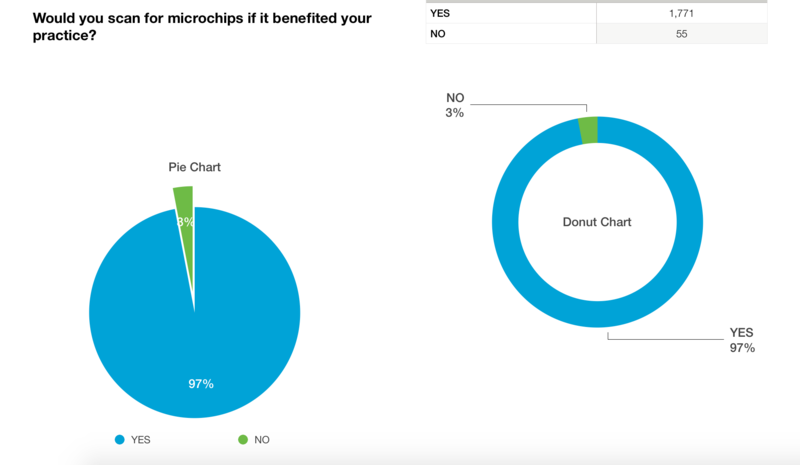 So why aren't veterinarians scanning for microchips? They do not have to scan for microchips because it is not part of their standard daily operating procedure. They will scan only if someone requests it, usually someone that brings an animal in that they found to locate the owner. Their job is to treat animals, not police puppy theft. The veterinary field lags considerably behind other industries technologically. Veterinarians lack access to raw data let alone the ability to pull it all together. If a microchip can be read — let alone detected — multiple registries need to be visited until a match is found. Then that registry needs to be called. Calls are often placed on hold for long periods and veterinarians do not have the time staff or resources to accommodate the overall process. It is much easier to assume the person that brought in the stolen pet is the rightful owner. It's much easier for a veterinarian to asssume that the person that brought the animal into the shelter is the pet's rightful owner. "At least the pet didn't wind up in a shelter". With the third to last question from the bottom being the exception, all the other choices were and are still valid reasons. Neither of which have anything to do with the efficacy of the technology. RFID is actually extremely reliable. Microchips will work 100% of the time if scanned and properly registered. The real reason microchips are not being scanned is a result of a lack of standardization, but even more so the data issue. There are multiple microchip companies, multiple scanners, various frequencies in which they operate, multiple cataloging systems, and multiple registration databases with no true universal scanner to read the broad range of microchips encountered by vets and shelters when they receive missing pets and this has led to a lack of scanning for microchips altogether. As a result, missing pets are seldom recovered. That being said, this is a problem that isn’t going away on its own. Social causes don’t move mountains. The issue is also much more complicated than that. To resolve the missing pet epidemic a better system of data organization is needed. The veterinary field lags considerably behind other industries technologically. Veterinarians lack access to raw data let alone the ability to pull it all together. If a microchip can be scanned — let alone detected — multiple registries need to be visited until a match is found. Then that registry needs to be called. 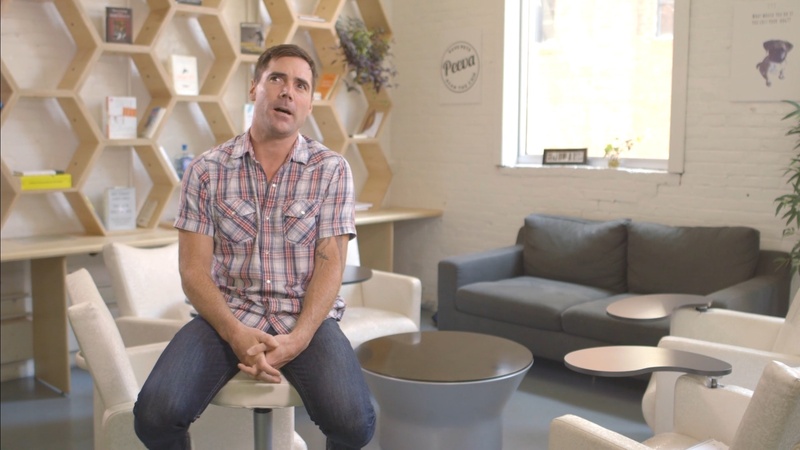 Calls are often placed on hold for long periods, and veterinarians do not have the time staff or resources to accommodate for the overall process. It is much easier to assume the person that brought in the pet is the rightful owner.